​The official Twitter page of Duke Basketball posted pictures on Tuesday of some of their recruits who took a tour of their new home. Among those pictured were ​stud Zion Williamson, Joey Baker, and 5-star recruit Cam Reddish, who was seen wearing a walking boot on his right foot in the first picture. A native of Norristown, Pennsylvania, Reddish was one of the most coveted high school basketball players in the world, fielding offers from every major Division I team in the country before agreeing to take his talents to Duke University. No news of a potential injury to Reddish was released by the university or leaked by any media outlets prior to the picture being posted, so it remains to be seen just how long the shooting guard will be walking in the boot for. I already think Cam Reddish is better than RJ Barrett and I’ve never seen him go 100%. I’m alllllll the way in. The Duke men's team looks to be a force to be reckoned with in college basketball this season. Joining Reddish, Williamson, and Baker will be top recruits Tre Baker and RJ Barrett, who is the godson of future NBA Hall of Fame point guard Steve Nash. Last season, Duke had four players drafted to the NBA, headlined by Marvin Bagley III being selected second overall by the Sacramento Kings. Wendell Carter, Jr. and Grayson Allen also went in the first round while Gary Trent, Jr. was taken in the second round. 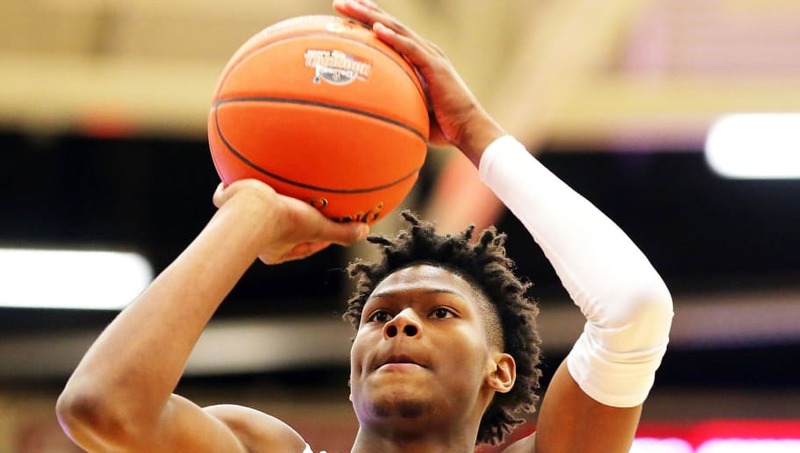 Oddsmakers everywhere are placing their ​bets on Duke to go far in the tournament again next March, but Reddish's health will be key for Duke's success this season.